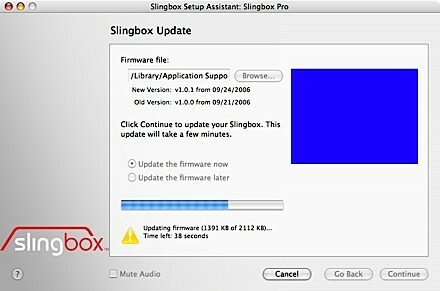 It's been almost a solid ten months since we first heard about the SlingPlayer Mac client, but those who've long waited to get their place-shifted Slingbox content on their Apple portable need wait no longer. It's now officially really actually available for public beta download and use, so knock yourself out with version 1.0.1.104 (fret not if that doesn't look right, it's listed on their site as 1.0.0.104). We gave it a go and it works pretty well, no complaints here, but you be sure to let us (and Sling Media) know if it's harshing your Mac's mellow. Click on for a couple more caps.